Click on the black dots/hotspots by the tribal name for a separate web page about geographic, geologic information and how native American stories explain the events of the past 10,000 years. Indigenous: Commonly used around the world, and increasingly being used in North America as a collective term to describe people formerly known as Natives, Aborigines, and Indians. Aboriginal: Rarely used in the United States, but commonly used in Canada as a collective term for Indian, Inuit, and Metis. First Nation: Commonly used in Canada for Native American peoples; rarely used in the United States. Indian: A legal and common term used in both the United states and Canada. Remains in wide use in the United States, but less often in Canada. Inuit: The common term used in Canada to describe the Indigenous peoples of Arctic Canada, replacing "Eskimo", also in use in Greenland. Native American: A term widely used in the United States to include both Indians and Alaska Natives; rarely used in Canada. 1. 1. Muckle, Robert James. 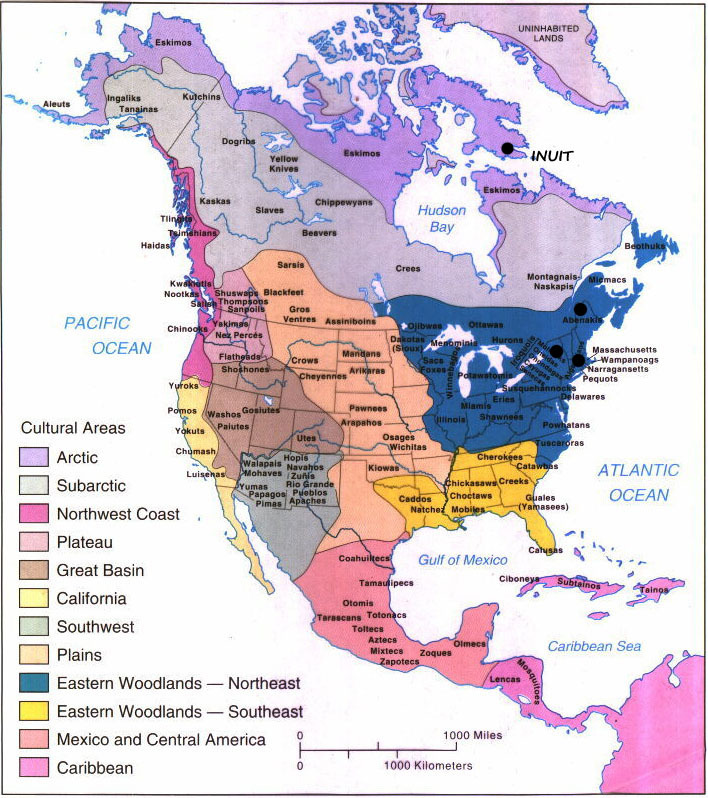 Indigenous Peoples of North America: A Concise Anthropological Overview. Toronto, Ont. : University of Toronto, 2012. Print.